Learning about calisthenics training can seem simple, you just google it right? But the truth is it can often be hard to find the right information to answer your questions. When you are new to Calisthenics and bodyweight training it can be even harder because you don’t always know exactly what it is you are trying to find out. Luckily there are some amazing books on training in general, but for gymnastics and calisthenics training, there are a few MUST READ’s. On this page I am going to show you the books you should definitely get your hands on, and I also provide links to Amazon so you can have them in your hands Tomorrow! Complete calisthenics was the first book I bought on the subject so it is only natural that it comes up first. This is a great book that will take you through a lot of the basics of programming and training calisthenics bt it skips over the beginner progressions and basically dives in a pull ups - which is cool with me! It is exactly what it says on the cover - complete - but the best part of it is the library of exercises and variations. An easy read well structured and should definitely have a space on your shelf! I actually have the First Edition of this book, which is now on its 2nd. This book goes in depth on skill training, programming, periodisation and progressive gymnastics skill training. Overcoming Gravity can be a bit intimidating when you first open it as the book is huge 530 Pages! But it is the most in depth book I have com across on calisthenics and covers everything from warm ups to injury rehab, mobility to strength, and all of the skill progression charts you could ask for. It also talks about programming, how to train isometric skills timing and rest periods. It has strength / Hold time / 1RMax comparison charts and really covers gymastics skill coaching and training from a clinical and systematic perspective. In the first edition, it is a little hard to read. How it is structured and the way the sentences flow isn’t always as intuitive as you might expect. However the 2nd Edition is a big improvement on readability. Trust me, you will not find another book like this! If you are a coach, personal trainer, gymnast or you are SERIOUS about your skill training and really want to go in deep, this is the only book that will teach you what you need to know, and all of things you didn’t realise you needed to know. Becoming a Supple Leopard is not a Calisthenics Book specifically, but it will change the way you train in a different way. Kelly Teaches you so much in this book, about your joints, mobility pre- & Re-hab and again so much more. This book has the best presented information on this page, for sure. It has been well thought out and structured and really answers all of your questions as you go. Convict Conditioning was the second book I bought about calisthenics and, although the exercises it covers are more basic than Complete Calis and Overcoming Grav, it is certainly more inspiring. Al can tell a story and the way he teaches you lessons from the mysterious Coach Wade is fun and really gets your blood pumping. He loves busting the myths of consumer fitness and simplifies training nicely. Now I know I said more Basic Exercises than the other books above, but don’t be fooled, just because it doesn’t cover Front Levers doesn’t mean it isn't a must read. But it also goes on to Pistol Squats, Bridges, Handstand Push Ups - One Arm HSPU’s and more. 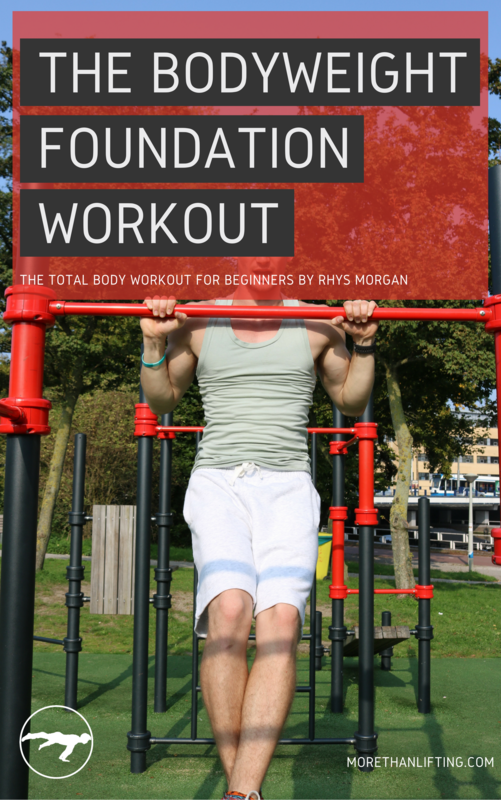 This book is less about Skills and more about Strength Training with bodyweight exercise. Bigger Leaner Stronger is the Fitness Bible. Michael Matthews dives deep into everything from Nutrition to Rep Ranges. He talks about programming and how and when to eat and what. He takes you through all of the exercises you need to d his programs and he swears by the simple, big heavy compound lifts. This book isn't about calisthenics at all but it you will learn more about fitness, strength training and how to really get the results you want in more detail than any of the above. He helps you plan your nutrition down to the calorie and he even goes into detail on common nutrition and training words (such as calories) and explains in simple english exactly what everything means. Trust me, this is the book to get, and it will put you ahead of 90% of the guys in the gym.